Scandinavian Airlines keepsake, December 6, 1954. 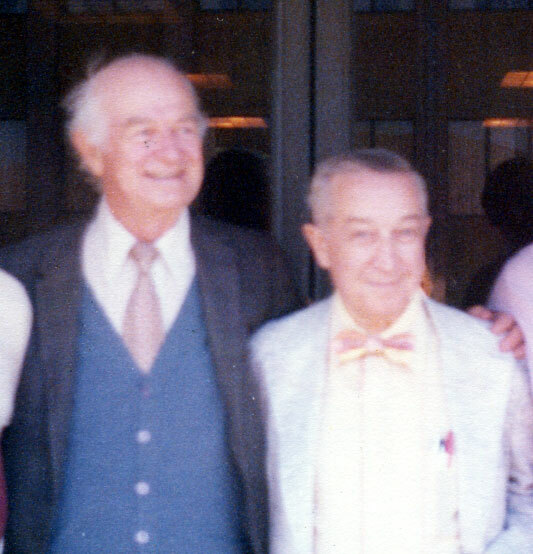 In 1953 Indian Prime Minister Jawaharlal Nehru invited Linus Pauling to attend the Indian Science Congress and dedicate a new scientific research institute. It was a fantastic opportunity that Pauling was eager to seize. Prompted by the invitation, he made plans to set out on a broader world tour in late 1953, intending to visit India as well as Japan, Israel and Greece, among other countries. Pauling’s prospects went sour, however, as he waited, and waited, and waited, but did not hear back from United States passport officials until after his proposed departure date in December 1953. Though disappointing, this lack of cooperation on the government’s part was fairly unsurprising – Pauling had a history, having been under investigation by the FBI amidst accusations of his belonging to the Communist Party. 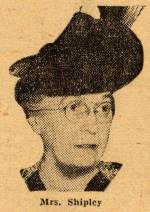 The center of much of the passport drama was Ruth B. Shipley, the Director of the Passport Office. In 1952 Pauling was accused by various media outlets of being a communist, although he adamantly denied maintaining any ties to the Communist party. The allegations were mostly based on Pauling’s anti-war political stance and his peace activism following World War II. In January 1952, based on these allegations, Shipley flat-out denied Pauling a passport, a decision that was eventually overturned by the State Department, which granted him a limited passport in July. Nonetheless, Pauling had plans to travel to Europe that year which had to be put off. It was the beginning of a pattern that repeated itself on multiple occasions – Shipley would deny Pauling’s request, and the decision would be overturned just days before his departure date. Despite his lack of success in carrying out his world tour the previous winter, Pauling still hoped that he could sort out his issues with the federal bureaucracy and reschedule his travel plans to make it to the next Indian Science Congress in January 1955. But by October 1954, Pauling was admitting defeat, writing to the Secretary of State that he no longer planned on traveling during the upcoming winter. This was in response to yet another letter that Pauling had received from Shipley, telling him that he could appeal the decision of the Passport Office to reject his request for validation to the Board of Passport Appeals. 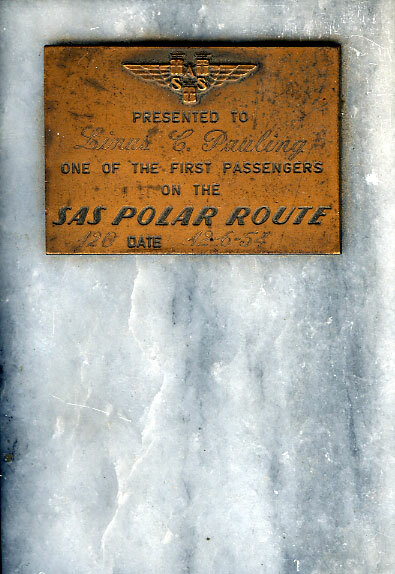 Pauling was not interested in a repeat of the previous winter, in which inaction on the part of the Passport Office had caused him “significant financial loss, personal embarrassment, and damage to my reputation.” As a result of the office’s decisions, Pauling had been forced to cancel highly-publicized appearances at a number of conferences on very short notice – he wasn’t willing to repeat a similar episode. Then, all of a sudden, circumstances began to change rather quickly. Near the end of the month, just as he was conceding defeat to the State Department, rumors started to cropping up that Pauling was going to receive the Nobel Prize in Chemistry. On November 2, Pauling’s win became official. The award was granted in recognition of his “research on the nature of the chemical bond and its application to the elucidation of the structure of complex substances,” a commendation of what amounted to his entire life’s work in science. Letters of congratulation came pouring in from colleagues, friends, family and acquaintances. Son Peter, who was working on his Ph. D. at Cambridge and living with his sister Linda, excitedly wrote to his father, asking if he was invited and inquiring if he should buy a new suit. Pauling’s heightened profile, combined with the support that he was receiving from the scientific community, gave him leverage in his battle with the government to reestablish his right to travel. Emboldened, Pauling reasoned that if he was going to Sweden in December for the Nobel Prize ceremony, he might as well resuscitate his previous travel plans. He wrote to Caltech President Lee A. Dubridge requesting a leave of absence and, on November 4, sent out an array of letters delegating his duties while away. He assigned important tasks to trusted co-workers: Carl Niemann would serve as acting chairman of the Division of Chemisty and Chemical Engineering, Holmes Sturdivant would prepare and present the Division budget to the President in a satisfactory way, Robert Corey would give a talk on the structure of collagen at the Western Spectroscopists meeting and Dan Campbell was to speak on antibodies and the duplication of molecules. The newly planned tour would have the Paulings traveling first, with the whole family, to Stockholm on the 7th of December for the Nobel Prize ceremony, followed by a jaunt over to Oslo and then to Amsterdam. After Europe Linus and Ava Helen would move on to Israel where they would spend Christmas, visiting Tel Aviv, Bethlehem, and Jerusalem. On the 28th, the pair would briefly visit Cyprus and then move on to Pakistan on the 30th. By the 31st they were to arrive in India where they would stay for the next six weeks. On February 15th they were scheduled to depart en route to a two-day stop in Bangkok, Thailand followed by a final stay in Japan. But first, the Pauling clan arrived in Stockholm for the Nobel festivities. Linus, Ava Helen, Crellin, Linus Jr. and his wife Anita flew out of Los Angeles and were greeted at the airport in Stockholm by the Minister of Foreign Affairs. Peter and Linda excitedly joined them there. That afternoon they checked into the luxurious Grand Hotel where they would be staying and where the family enjoyed tea while Linus took part in a press conference. The following days were a nonstop whirlwind of receptions, parties, and speeches. The whole family was invited to a cocktail party hosted by Hugo Theorell of the Nobel Medical Institute, the man who would win the Nobel Prize for medicine the following year. And the day before the prize ceremony, a reception was held for the winners along with dinner hosted by the Royal High Chamberlain. 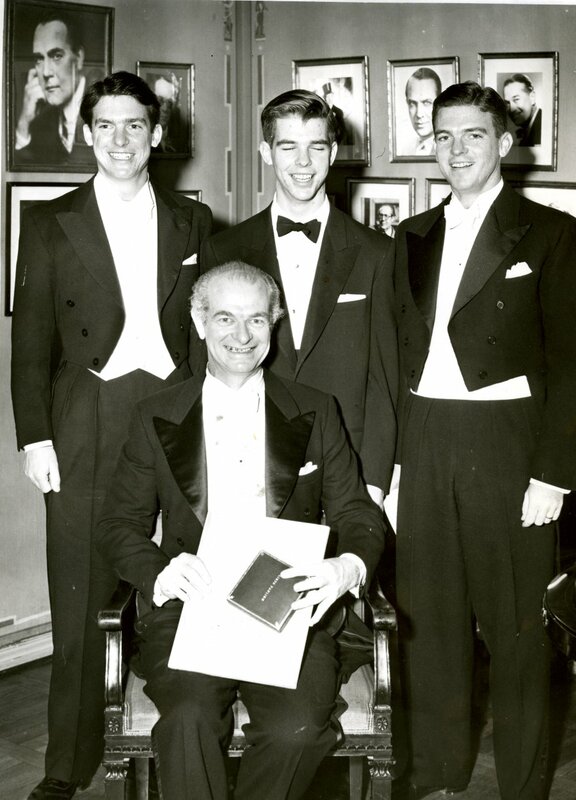 Peter, Crellin and Linus Pauling, Jr. with their Dad, 1954. I have found that it is always a great pleasure to come to Sweden. I feel at home in Sweden: even though there may be a snow-covered landscape about us, instead of the green (or sometimes brown) hills of southern California, nevertheless I feel, emanating from the Swedish people, the radiations of sympathy, of homologous character, so strongly as almost to cause me to consider myself to be a Swede. The next day Pauling visited the Nobel Foundation to collect his prize stipend, a sizable amount at $30,000, (almost a quarter million dollars in today’s money) before delivering his Nobel lecture. The speech focused on resonance and bond concepts; the primary components of the work for which he had been recognized. That evening the Nobel celebration came to an end with a formal dinner at the royal palace hosted by the king and queen, followed by a party thrown by the American embassy. Equal parts exhausted and delighted, the Paulings went to bed that night knowing that, the excitement of previous days notwithstanding, a grand adventure still awaited them. 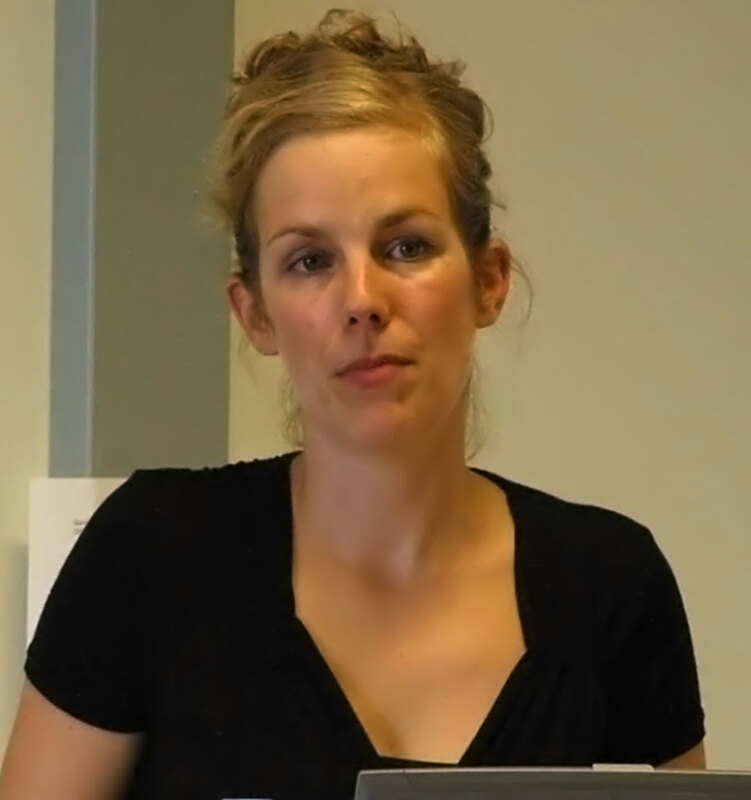 Dr. Ina Heumann, a historian of science affiliated with the Max Planck Institute for the History of Science in Berlin, is the most recent individual to complete a term as Resident Scholar in the Oregon State University Libraries Special Collections. 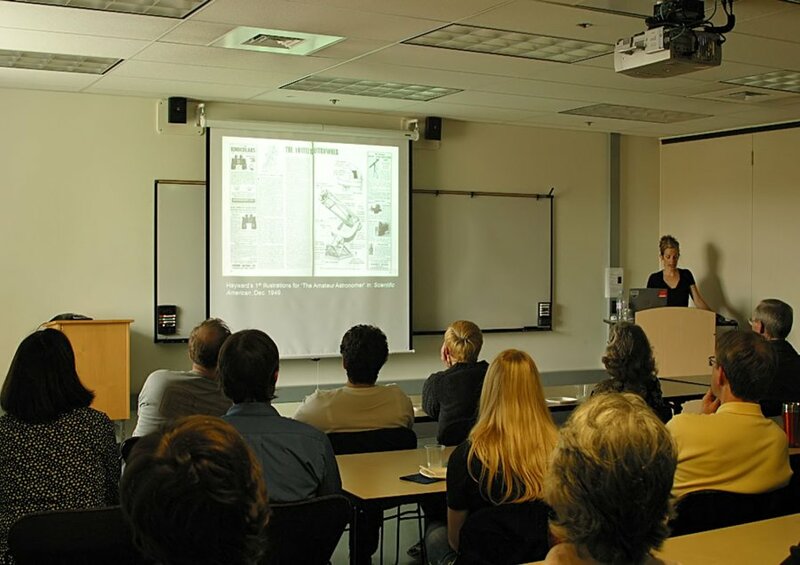 Heumann spent two months in Corvallis studying the Roger Hayward Papers and the Ava Helen and Linus Pauling Papers as part of her on-going investigation into the connection between art and science with a specific focus on illustrated scientific texts. From her study of the relationships built by Roger Hayward over his more than three decades as a scientific illustrator, Heumann found that significant tensions regularly arose between scientist and artist. Without doubt, prominent among these tensions was the issue of money. One striking example involved Hayward’s provision of a large bulk of illustrations to the publishing house W. H. Freeman & Co. for use in the first two editions of Pauling’s profoundly successful text General Chemistry. While Pauling’s General Chemistry royalties in 1949 alone amounted to $5,000, Hayward received roughly $120. Indeed, questions over just compensation for the value added by illustrations in scientific texts would dot Hayward’s long association with the Freeman company. And while both sides usually found room for compromise in their periodic bargaining sessions, the discussions were often acrimonious. I try to put in enough familiar details so the reader will recognize them and feel on familiar ground. Therefore I am careful to show more detail of glassware, for instance, than he really needs. a bit of a primadonna. He has to be handled just so. He thinks of himself as a professional person – which he is – who wants to be treated as such, rather than as a skilled craftsman. Like all artists (and he is one of those, basically), he is a bit of a problem and [in] this case a bit of a genius. Hayward was architect, artist, craftsman, illustrator and inventor, not to mention his interest and competence in chemistry, optics, physics or mathematics. However: The only formal degree he had was in architecture and technical engineering. He was a self-made man, someone who loved to ‘get the books and dig the knowledge out’ by himself, as he once put it….Thus Hayward’s talent to serve as intermediate figure rooted at the same time on his deficiency: he was always in-between, being neither a scientist nor a mere illustrator, neither an educated expert nor just an average layman….Consequently, he was both needed and at the same time neglected. It was this status as “border crosser” that lay at the heart of many of the creative and professional constrictions with which Hayward and his peers struggled throughout much of the twentieth century. contributed countless ideas and suggestions for improvements of the devices he had illustrated. The letters were often literally published in the column, citing Hayward as an experienced expert of amateur science. He illustrated and commented on questions like ‘How to measure the Metabolism of Animals,’ ‘Cloud Chambers and Detecting Nuclear Events,’ or how to construct inexpensive x-ray machines. At their zenith, the “Amateur Scientist” columns were excellent examples of “scriptovisual documents” – documents that “can be read and looked at simultaneously.” So too was the 1954 journal publication “The Structure of Protein Molecules,” authored by Linus Pauling, Robert Corey and Roger Hayward, and containing nine columns of text and nearly eighteen columns of drawings. The OSU Libraries Special Collections Resident Scholar Program is supported by the Peter and Judith Freeman Fund. Past recipients have included Dr. Burtron Davis of the University of Kentucky’s Center for Applied Energy Research, Toshihiro Higuchi of Georgetown University, Dr. Mina Carson, professor of history at Oregon State University, Jane Nisselson, a documentary filmmaker based in New York City and Julia Bursten, Ph.D. candidate at the University of Pittsburgh. 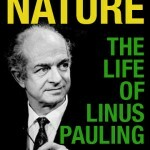 Toward the end of his book Vitamin C and the Common Cold, Linus Pauling included a chapter on human biochemical individuality. In it, he addressed the fact that every human is different, and as a result, each individual has a unique need for specific amounts of vitamin C.
If we assume that 500 characters are independently inherited, then we can calculate that there is only a small chance, 10 percent, that one person in the whole population of the world would be normal with respect to each of these 500 characters. Guinea pigs, like humans, are also genetically heterogeneous, as was demonstrated in a 1967 vitamin C experiment carried out by Roger J. Williams and Gary Deason of the University of Texas, Austin. The investigators obtained more than 100 young male guinea pigs, and initiated their experiment by closely observing the guinea pigs for a week while they were fed a healthy diet. This completed, the animals were then divided into eight groups of 10 to 15 animals, with each group receiving varying amounts of ascorbic acid, and one group receiving none. Each of the guinea pigs reacted differently to the amount of ascorbic acid given to them. About 80 percent of the guinea pigs that were fed no ascorbic acid or less than 0.5 mg of ascorbic acid per kilogram of body weight per day showed signs of scurvy. Only a quarter of those receiving between 1 mg and 4 mg per kilogram per day showed signs of scurvy, while those receiving 8 mg per day or more did not show any signs of the disease. These results were in accordance with the commonly held belief that guinea pigs need about 5 mg per day of ascorbic acid in order to prevent scurvy. However, the experiment also produced anomalies: two of the guinea pigs receiving only 1 mg of ascorbic acid per kilogram per day stayed healthy, and gained weight over the course of the eight-week experiment. One of them even gained more weight than any of the animals receiving a larger amount of vitamin C.
Strangely, seven of the animals receiving 8, 16, or 32 mg per kilogram per day were unhealthy, and did not grow very much. Five of these were then provided with 64 mg per kilogram per day, and two of them were provided with 128 mg per kilogram per day. When they were provided with larger amounts of vitamin C they began to grow at a much faster rate: initially, they had only grown about 12 grams in ten days, but during the next ten day cycle, while receiving more vitamin C, they gained an average of 72 grams each. The conclusion reached was that these seven guinea pigs, out of the thirty that were placed on between 8 mg and 32 mg per kilogram per day, possessed a larger built-in vitamin C requirement. Pauling agreed with this conclusion, adding that the requirement of ascorbic acid for humans probably ranges from 250 mg per day to 10 g per day. And he continued to make reference to biochemical individuality throughout the book, suggesting that 1 g to 2 g per day is approximately the correct amount of ascorbic acid for the average human being to ingest. Vitamin C Deficiency in Humans: An Issue of Evolution? 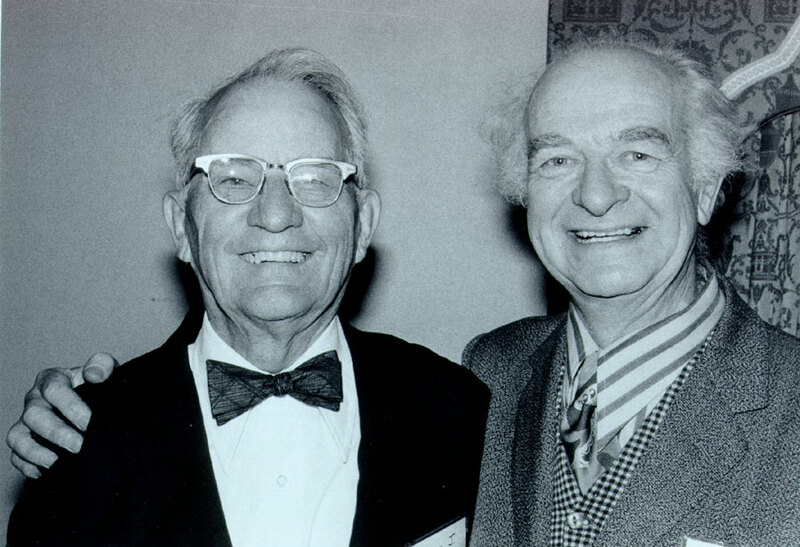 Linus Pauling and Irwin Stone, 1977. 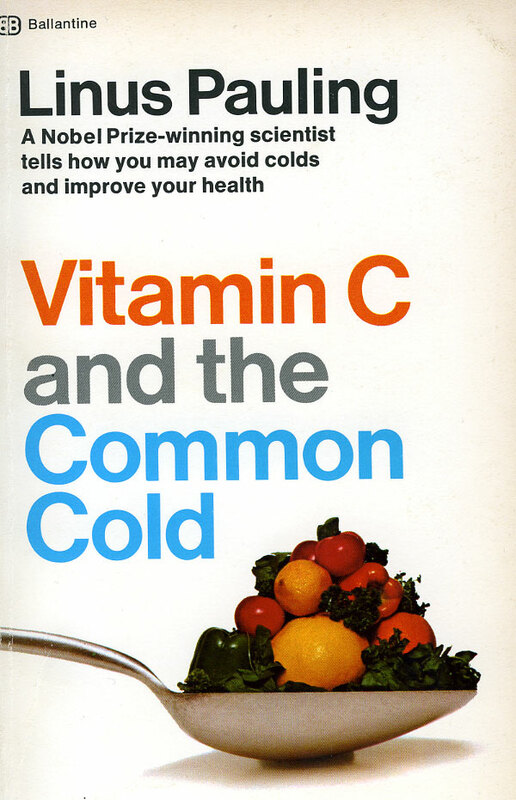 In the chapter “Vitamin C and Evolution” from his book Vitamin C and the Common Cold, Pauling wondered about the reasons why the rest of the animal world can synthesize vitamin C, while human beings, along with a very small group of mammals, cannot. His answer was gene mutation, using the instance of thiamine as evidence. All animals need thiamine as an essential vitamin; in its absence they develop a disease similar to beriberi. Pauling theorized that over 500 million years ago, when the common ancestor to present-day birds and mammals lived, there existed an environment imbued with an abundance of green plants containing thiamine. By way of gene mutation, one of the animals living during that era must have lost the mechanism which allowed it to synthesize thiamine. This was advantageous to the animal – which was probably plant-eating – because it could obtain the thiamine it needed from the plants it ingested while simultaneously conserving the energy that it would have used to manufacture the vitamin. Pauling pointed out that possessing this extra energy would have caused the animal to flourish and to have more offspring than others of its kind. The advantageous mutation would be passed on to certain of the progeny, who would in turn pass it on to their own offspring, and so on. Eventually the mutation would spread, and a few million years later all mammals and birds would possess the mutation. Pauling believed that in the same way that all animals lost the biochemical machinery to produce thiamine, so too did human beings, primates, guinea pigs and a particular Indian fruit-eating bat lose the ability to synthesize vitamin C. A mutation that results in the inability to synthesize a substance is simple and occurs often; it only requires a single gene to be damaged or deleted. The reverse process is more complex and takes much longer. The mutation that removed the ability to synthesize vitamin C probably took place about 25 million years ago, in the ancestor of modern primates and humans. In his book, Pauling next asked the question, why didn’t all mammals and birds lose the ability to synthesize vitamin C the way that they lost the ability to synthesize thiamine? Pauling theorized that the change likely occurred in the guinea pig and the Indian fruit-eating bat independently of the common precursor of the primates, due to an abundance of vitamin C in their diets. The fact that the majority of animals possess the ability to synthesize vitamin C indicates that there is not sufficient vitamin C in their dietary environment for them to obtain the vitamin solely from their nutrition intake. To Pauling, this also suggested the existence of a deficiency of ascorbic acid in the human diet. Dr. Irwin Stone, a biochemist in Staten Island, New York, was the person responsible for sparking Linus Pauling’s interest in vitamin C. Dr. Stone, a leader in the ascorbic acid field at the time, sent a letter to Pauling in 1966 informing him of a high-level ascorbic acid regimen that he had been developing over the past three decades, which Pauling and his wife began to follow. Stone believed that humans need between 3 and 5 grams of vitamin C per day, reinforcing this claim by citing the British researcher G. H. Bourne’s evidence that gorillas ingest about 4.5 g of ascorbic acid per day. it may be possible, therefore, that when we are arguing whether 7 or 30 mg of vitamin C a day is an adequate intake we may be very wide of the mark. Perhaps we should be arguing whether 1 g or 2 g a day is the correct amount. Irwin Stone also took into consideration the amount of ascorbic acid that other animals, such as rats, manufacture. The rat synthesizes vitamin C at a rate of between 26 mg and 58 mg per day per kilogram of body weight. If the same rate of manufacture were applied to humans, a person weighing 70 kg (154 lbs) would need to ingest between 1.8 g and 4.1 g of ascorbic acid per day. If the need for ascorbic acid were really as small as the daily allowance recommended by the Food and Nutrition Board the mutation would surely have occurred 500 million years ago, and dogs, cows, pigs, horses, and other animals would be obtaining ascorbic acid from their food, instead of manufacturing it in their own liver cells. Pauling found that the average ascorbic acid content for the fourteen most vitamin C-rich plant foods is 9.4 g per 2,500 kilocalories, leading him to the conclusion that the optimum daily vitamin C intake for an adult human being is between 2.3 g and 9 g – quantities in line with what he saw as existing in the natural diet of the human lineage and numbers far beyond the recommendations issued government nutritional authorities, then or now.